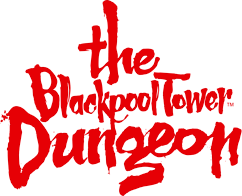 The Blackpool Tower Dungeon invites you to ‘hang out’ with our Dungeon characters and enjoy your favourite tipple in The Blackpool Tower Dungeons’, Red Lion! Pull up a barstool and play the part of a punter at the pub. With a front row seat at the heart of this unique, storytelling experience you will be transported back to a vibrant, decadent and dodgy pub of 1896, where the gossip and scandal surrounding the local scoundrels, villains and working girls unravels around you. If you are lucky enough to look under 25, you will be asked to prove that you are aged 18 or over when you buy, or exchange your token, for alcohol. If you are under 18, you are committing an offence if you attempt to acquire alcohol. Foods allergies: Before you order your drink or bar snacks please speak to our staff if you want to know about our ingredients.